TUCSON, Ariz. - Whether Pima County Sheriff should cooperate with federal immigration officials dominated another Pima County Supervisors meeting Tuesday. Since February Supervisors have debated whether to let the Sheriff accept 1.4 million dollars in Federal funds to reimburse for overtime and equipment used when deputies do work towards border security. Immigration has become even more contentious since then and that led supervisors to delay action again. More than 30 people spoke to supervisors angry over more aggressive Federal immigration policies including those that have separated families from their children. 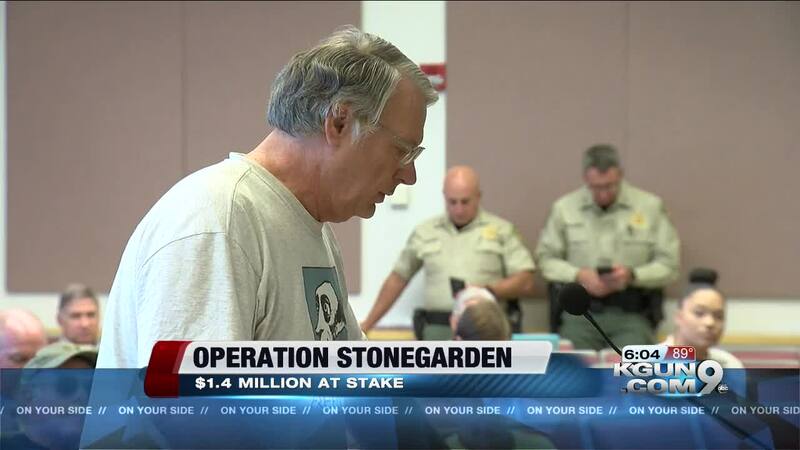 They say accepting money from the Federal program called Operation Stonegarden will make Pima deputies complicit with policies they want stopped. Sheriff Napier told supervisors, county residents have benefited from Stonegarden because it helps pay for more deputy presence in remote areas. He says if his department does not accept Stonegarden grants, Federal agencies will not regard Pima County as a partner to be paid attention to. Supervisors voted three to two to wait until the first meeting of next month to decide on the grant. That’s to allow time for a citizens commission to review how the sheriff relates to CBP.